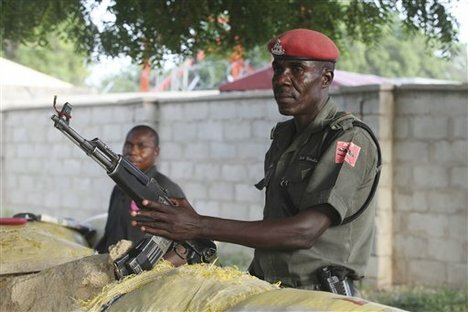 Nigerian soldiers stand guard outside the church as the sound of worshipers singing; “blessed assurance, Jesus is mine” is heard coming from inside. One hundred yards away the smoldering city dump fills the air with the stench of burning waste. If you could see it you might be reminded of the Gehenna Jesus spoke about and likened to Hell. Pushed to this least desirable side of town by the overwhelming Muslim population, this group of Christians is just one of the many groups whose houses of worship line the streets here. But only a few still come to worship. It has become very dangerous to be a Christian in this part of Nigeria.